Food systems are transforming faster and faster throughout low and middle-income countries. While progress is being made towards ending hunger, there are challenges in ensuring these transformations provide diets that are healthy and sustainable. As population rates and incomes grow worldwide, increasingly, this progress has come at the expense of the environment and public health. While each system is unique to its own context, lessons can be learned across experiences to expand opportunities to better address these challenges. 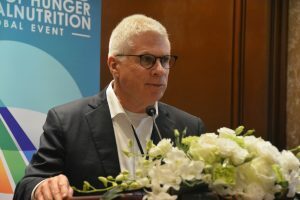 To provide a forum for sharing these experiences, A4NH, the Commonwealth Scientific and Industrial Research Organization of Australia (CSIRO), and Wageningen University and Research (WUR) convened a conversation ahead of the opening of the "Accelerating the End of Hunger and Malnutrition" conference organized by IFPRI and FAO in Bangkok, Thailand. Titled "Future Food Systems" How Might They Be Healthier and More Sustainable?" 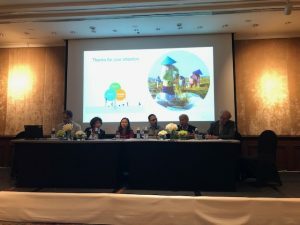 the conversation brought together researchers, donors, policymakers, and other stakeholders from Asia, Africa, Europe, North and South America, and Australia. 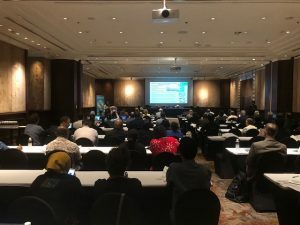 It's not just a question of hunger and calories," noted Daniel Mason-d'Croz, Senior Research Scientist with CSIRO in his opening presentation establishing trends and concerns with nutrition and food system environments globally. "Malnutrition is a much more complicated topic." He noted that wile rates of stunting and wasting are declining, rates of overweight, obesity, and noncommunicable diseases are on the rise. Moreover, an increase in consumption of highly processed foods is happening alongside insufficient micronutrient intake. The session was guided by the notion that consumption and demand are the key drivers of food system transformation. It looked at the roles technology, the private sector, policymakers, and market agents all play in shaping that demand, as well as trends including increased rates of urbanization, the growing distance between people and where the food they consume is grown, and the rise of processed foods as time available to purchase and prepare food shrinks. Yet beyond these factors and influences, the question persists: what will make consumers change their behaviors and embrace a healthier and more sustainable diet? Ruerd Ruben, Professor of Impact Assessment for Food Systems at WUR, remarked during his presentation to the session, "It's not a matter of just playing with prices — this alone isn't enough for consumers to make changes. Convenience, tradition, and other things come into play and affect their decisions, and we need to consider these factors." Panelists were invited to comment on the presentations and provide their own observations of food system transformations. Stef de Haan, Agrobiodiversity and Food Systems Researcher at the International Center for Tropical Agriculture's (CIAT) Sustainable Food Systems program, based in Vietnam, highlighted the need to understand the tradeoffs between food systems and the environment, as pressures increase to meet both planetary and human health. He stressed the importance of seeking sustainable ways to ensure the world's growing population has access to healthy diet. Phuong Nguyen, Research Fellow in the Poverty, Health, and Nutrition Division at IFPRI, also based in Vietnam, remarked on the dramatic changes in food consumption, from local and seasonally-produced to more globally-produced, processed foods higher in sugar and fats. She shared concerns about how this can impact vulnerable groups like mothers and infants in the critical first 1000 days of life: mothers exposed to these processed foods are more likely to give them to their children. Paul Teng, Managing Director and Dean at the National Institute of Education and Adjunct Senior Fellow at the RSIS Centre for Non-Traditional Security Studies at Nanyang Technological University in Singapore, added that food safety, food integrity, and impacts on smallholder farmers all need to be part of the conversation. He also drew attention to environmental change and concerns, noting that innovations should seek to reduce the impact of agriculture on the environments. Rounding out the panel, Fiona Lynn, Director of the Agricultural Development of Foreign Affairs and Trade, offered a donor perspective, sharing that the public and private sectors need to work together on making sustainability and nutrition commercially viable, bringing them from a niche issue into the mainstream. The discussion that followed offered an opportunity to comment on hopefulness and concerns, as well as benefits and drawbacks of focusing on positive encouragement, or nudging, versus emphasizing the negative. Panelists also explored the role of private sector engagement, and how partnerships can most optimally work. Adding to the learning exchange the session was designed to provide, the discussion continued with several audience members offering "lightning talks" to highlight innovations they have tried, sharing lessons learned and plans for the future. These experiences ranged from the development of food-based dietary guidelines in Ethiopia, to tradeoffs in water management and food systems, to nutrition education behavior change, to increasing the availability of nutrient-dense crops in India. After additional questions and reflections were posed by the audience, the formal session drew to a close, providing attendees the opportunity to pursue additional conversation and information sharing. View Daniel Mason-d'Croz's presentation to the event. View Ruerd Ruben's presentation to the event. View slides from the lightening talks.